Our staff members are the lifeblood of our success. We believe in supporting them and giving them the best possible place to work.This comes through in their interactions with our clients! 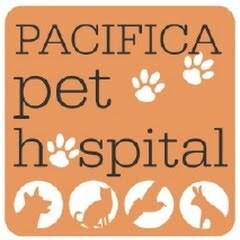 We have been told that we are the friendliest veterinary office around. The dedication, skill, and caring attitudes of our staff, has been a great recipe for success. We are celebrating over 20 years in business, and honestly couldn't have done it without them! All of our nursing staff have excellent experience and take pride in caring for your pets - from routine nail trims to monitoring your pet after surgery and everything in between, you can be sure your pet is being taken care of with love and compassion. You'll be greeted with a smile when you walk through our doors! Our receptionists understand the importance of customer service and will do everything they can to help you arrange appointments,schedule boarding visits and coordinate all your communications with our veterinarians and the rest of our staff. Our Animal Caretakers feed and walk the boarding animals, keep the animals' temporary quarters clean and neat, and keep a close eye on the pets in our care. Many of them are just beginning their career in taking care of animals, but all are dedicated, caring and work hard to keep your pet comfortable and safe. Working behind the scenes, our administrative team -- the Hospital Administrator & Staff Managers -- work to keep the hospital running smoothly.